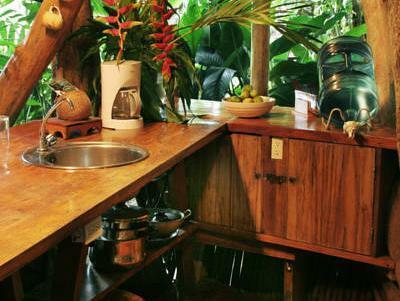 ﻿ Best Price on Tree House Lodge in Puerto Viejo de Talamanca + Reviews! Surrounded by a natural tropical garden in Playa Punta Uva Beach, Tree House Lodge is a rustic-style property with a hot spring bath, massage services for a fee, and a solarium. The bungalows offer views of the sea, a small kitchen area with a hob, oven and fridge and a terrace. The private bathrooms come with showers and provide free toiletries. Guests will be granted with free continental breakfast the first morning of their reservation. They will also find a supermarket and other restaurant options within 1640 feet from the property. 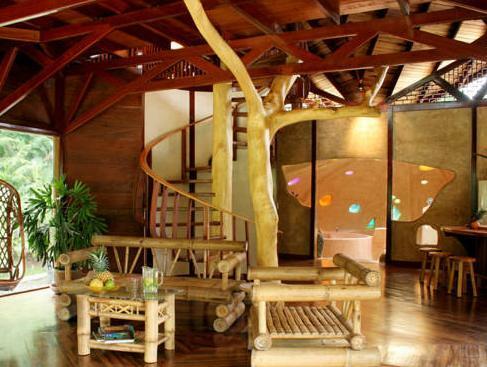 Tree House Lodge can contact the guest with local tour agencies to arrange outings. The Jaguar Rescue Park is 0.6 mi away. Juan Santamaría International Airport is 75 mi from Tree House Lodge. Please note that the 50% of total amount of the reservation must be paid in advance. Once a booking has been made, Tree House Lodge will contact the guest directly to arrange payment by Pay Pal. Please inform Tree House Lodge of your expected arrival time in advance. You can use the Special Requests box when booking, or contact the property directly using the contact details in your confirmation. This property does not accommodate bachelor(ette) or similar parties.